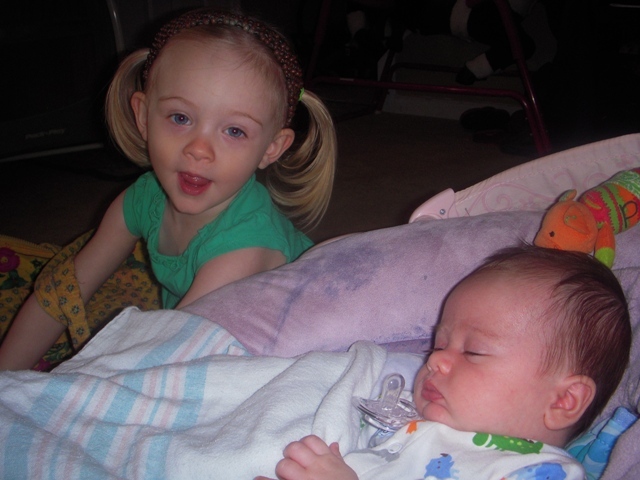 On Tuesday, May 10, 2011 Kayleigh took our son, Declan, to see his pediatrician for his two month well baby visit. His head measured in the 90th percentile, so the Doctor thought it may be a good idea to have an ultrasound done to rule out any “problems”. Our daughter, Amelia, had the same procedure (although she was a little older) so we weren’t worried. Later the same day the pediatrician called. The Doctor who reviewed the ultrasound had called her and was concerned about what he saw. It looked like there may be too much fluid around his brain. “Don’t panic…it may be nothing…whatever you do don’t look this up on the internet. You don’t want to worry yourself before you know what’s going on.” That was the basic message we got. 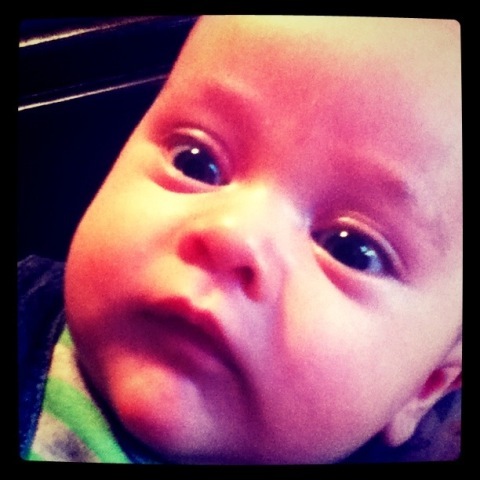 Declan will need to see a neurosurgeon who will review the ultrasound and give us a diagnosis. We packed up a diaper bag with some snacks for Amelia, who is two and a half, and headed downtown to the hospital to see the Neurosurgeon. We waited…and waited…and waited. We finally went back to a treatment room, and waited a little more. The Neurosurgeon knocked then came in and introduced himself. He then took a look at the ultrasound, gave us a brief explanation of hydrocephalus, and told us that the ventricles in Declan’s brain were “huge”. He pulled out his smartphone, did a little clicking around, and said Declan would need to come back to the hospital on Wednesday, May 25, and have a shunt surgically implanted in his head. The Doctor’s Nurse also came in and talked with us for a while. They told us what a shunt does. They answered some of our questions. The Nurse gave us her number and said once we had a chance to think of some other questions to give her a call. What we knew at this point was that Declan had hydrocephalus, too much fluid in the ventricles of his brain. Failure to have this treated could lead to a lot of problems…possibly death. They were going to make cuts on top of his head, behind his ear, and on his stomach. They were somehow going to take a tube and route it from his head to his abdomen so that this excess fluid would no longer be putting pressure on his tiny brain. We also heard somewhere in there (along with about 100 other facts) that the device they’d be implanting had about an 80 percent chance of failing. What? So, we headed home to try and figure out what all this meant.